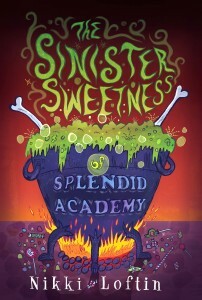 This month we hear from talented writer and Austin SCBWI member Nikki Loftin, a wild, brave, baking soul who fills this world with words sometimes sweet, sometimes sublime, and sometimes downright scary. We welcome you to our tiny corner of the web, Nikki, thank you for joining us. Come and sit a spell. I grew up in the suburbs of Round Rock, Texas… but I spent most of my summers running up and down hillsides near a Hill Country town called Wimberley. Back then, kids were allowed to run around freely (Moms would give stern instructions to their kids not to show their faces until suppertime, in fact), and I took full advantage of my freedom. I met up with every kind of wildlife you can imagine – including rattlesnakes – and came out of my childhood with a deep love for nature and the quiet places of the world, even though I am not usually a quiet person. I think the landscapes I loved back then are readily apparent in my books, especially my next book, Wish Girl. The magical valley I described there was a real place, and every bit as magical to me back then as it is to my characters. From the time I was nine years old, and a teacher sent a poem I had written in to the local newspaper to be published, I knew I wanted to be a writer. I even went to creative writing school at UT Austin and got my Master’s… and promptly gave up on my dream when I left the program. It wasn’t until I was older that I remembered that dream, and decided to try (even though I was pretty sure I would fail) to make it come true. And it is coming true, although the dream isn’t quite what I had pictured! It’s a lot more work and rejection and false starts and frustration. But I wouldn’t trade it for anything, not even a lifetime’s supply of dark chocolate. Oh, that would be embarrassing. They would see me talking to myself while I write, giving up, pacing the floor, snacking on chocolate, surfing the Internet… then dragging myself back to the page. On really bad days, they’d see me in the kitchen, baking up a storm, since I bake under stress. When I hit a real snag with a manuscript, I take a nap to let my subconscious mind work it out. So my work day would probably look like not a lot of work. But at least a few times a week, I end up with a few thousand words’ progress… so I guess it works for me. I feel certain other writers have a better process, they just won’t share their secrets with me. Well, I do live in paradise. As soon as I could, I convinced my husband to buy land in the Hill Country and we moved to the hills. My writing desk is next to a window that takes me back to my childhood memories of growing up half-wild. I think that allows me to reconnect with kid Nikki, and she was pretty smart about what matters to a kid. So, my setting helps. My kids also feed my work! I have two sons who are both readers, and they support me by reading pages, giving feedback, listening to me complain about revisions, and telling me about other great middle grade books I should read. They’re my biggest fans. I’m pretty proud of myself for not giving up, actually. (I mean, after I gave up for those ten years… but let’s not talk about that.) The thing is, I still want to give up on writing every single day. It’s hard, even terrifying at times. That I have come to a place in my life where I have the self-discipline to make myself sit down almost every day and hang out with the muse? That’s an accomplishment. I like the other stuff – the book deals, the starred reviews, the occasional literary prizes – but I’m proud of my work ethic. How populated it is! Everyone thinks of the writer or artist as a solitary soul. But I have more friends now, friends who call me and hang out with me and go to dinners with me, than I ever had in my other careers. 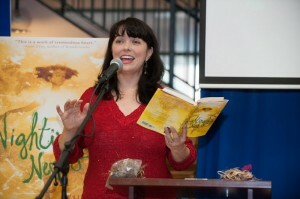 Austin has a vibrant writing community, and I’m delighted to be part of it. I know a lot of other writers who don’t have the same support, and I feel for them. I think, without the friends I have made writing and pursuing publication, I wouldn’t have been able to keep writing as well or as fast. 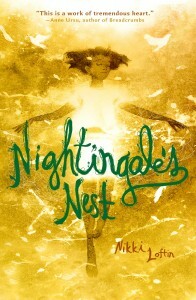 My last two books, Nightingale’s Nest and Wish Girl, came from years of thinking deeply about redemption and loss and the deep magic of friendship. I had so much I wanted to say in these books, and I think I said it… but my hope when I write for children is always for the reader to be drawn into the book, to lose themselves in it. I dream of kids staying up with flashlights under the covers to finish just one more chapter, of my books being read in tree houses and on school buses and in church. I want to give my readers the gift of other worlds to live in, and characters who become friends and stay in their minds. 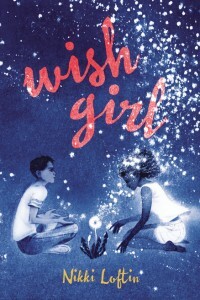 I want the magical valley in Wish Girl to be a place my readers can close their eyes and revisit, again and again. I want Gayle’s song from Nightingale’s Nest to be playing in their minds as they climb trees and when they watch the wind moving through branches. I want to give magic to my readers. And if I can do that? Well, that would be something to be proud of, wouldn’t it? That would be a dream come true. Bio: Nikki Loftin lives and writes just outside Austin, Texas, surrounded by dogs, goats, chickens, and rambunctious boys. 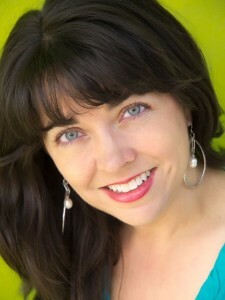 She is the author of the upcoming novel Wish Girl, the multiply starred-reviewed Nightingale’s Nest and The Sinister Sweetness of Splendid Academy, which Publisher’s Weekly called “mesmerizing” and Kirkus called “irresistible.” Her home on the web is www.nikkiloftin.com.